A look at all the ups and downs in Pakistan's relations with key countries in the outgoing year. Pakistan had a busy 2018 with regards to developments on the external front. The Foreign Office diary was full of new chapters on Pakistan's ties with the United States, China, India and Afghanistan. Some estranged allies, such as Saudi Arabia and the United Arab Emirates (UAE), also featured prominently in the second half of the year after pledging financial support to shore up Pakistan's sagging economy. Turkey and Malaysia too found honourable mention. While Turkey was the only country to support Pakistan against a US move to put it on the Financial Action Task Force (FATF) grey list, it also vowed to support the country on the matter of Kashmir in the United Nations. Similarly, Malaysia welcomed Prime Minister Imran Khan on his first visit to the country, and Malaysian Prime Minister Dr Mahathir Mohamad also accepted PM Khan's invitation to visit Pakistan on March 23 next year. The visit was marked by goodwill and bonhomie, which wasn't surprising given the similarities between the anti-graft missions of both heads of state and the circumstances in which they assumed power in their respective countries. Take a look at the key developments in Pakistan's foreign relations by clicking on the tabs below. Compiled by Hurmat Majid. Header illustration by Mushba Said. The year literally started with US President Donald Trump saying that Pakistan has only given "lies and deceit" to the US. The US president also tweeted that Islamabad thinks of US leaders "as fools". It took only an hour for then foreign minister Khawaja Asif to come up with a rejoinder. “We will respond to President Trump’s tweet shortly Inshallah...Will let the world know the truth...difference between facts & fiction,” he tweeted. The White House then confirmed it was suspending $255 million of military aid to Pakistan, a move seen as the first step to implementing Trump’s pledge to hold Pakistan to account. Trump's tweets and Washington's changing behaviour towards Pakistan received much criticism, not only from the country but also on the international stage. In a clear disagreement with the American president's scathing assessment, Chinese foreign ministry spokesperson Geng Shuang said: "Pakistan has made tremendous efforts and sacrifices in combating terrorism and made outstanding contributions to the international anti-terrorism cause. The international community should fully acknowledge it." A day after the Trump administration announced that it was suspending its entire security assistance to Pakistan, the Foreign Office (FO) issued a statement saying the country's officials were engaged with the US administration on "security cooperation" and awaiting further details. The chief of the military's media wing, Maj Gen Asif Ghafoor, said Washington should realise that the misunderstandings between Pakistan and the United States could negatively impact the security situation in the region, particularly in Afghanistan. Less than a week after Trump's tweet, then US Defence Secretary James Mattis said that the Pentagon was maintaining its communication with the Pakistani military establishment, including with Army Chief Gen Qamar Javed Bajwa, even after suspending its security assistance to Pakistan. Not long after the exchange of verbal blows between the two countries, Pakistan told American interlocutors that a major military offensive against the Taliban from both sides of the Afghan border, if ending in failure, will have negative consequences for the entire region. Diplomatic sources believed at the time that a key element of the new US strategy for Afghanistan would be to launch a two-pronged military offensive that inflicts a military defeat on the Taliban and forces them to join the Afghan reconciliation process on Kabul’s conditions. They reminded their interlocutors that Pakistan was still coping with the consequences of Britain’s Afghan adventures. Those adventures led to the creation of a buffer zone — Fata, which later became the source of many troubles. The United States then told Pakistan what it must do if it wants Washington to resume paying out hundreds of millions of dollars in security aid. “Our expectations are straightforward,” Pentagon spokesman Colonel Rob Manning told reporters at the time. The Trump administration's attempt at “humiliating and penalising” Pakistan for allegedly failing to take decisive action against militant groups hostile to the US was unlikely to work, former American ambassador to Pakistan Richard Olson has argued, warning that Islamabad has greater leverage over Washington than is usually perceived. American diplomat Alice Wells then acknowledged Pakistan’s efforts in eradicating terrorism and conveyed the Washington's desire to work with Pakistan in furthering the shared objective of stabilising Afghanistan. United States' (US) Joint Chiefs of Staff Chairman Gen Joseph Dunford insisted that he had not given up hope on US mending ties with Pakistan. The same month, the US urged Pakistan to prosecute Hafiz Mohammad Saeed "to the fullest extent of the law", endorsing the Indian view on the Jamaatud Dawa (JuD) chief. Despite the tense relations between Pakistan and the United States, the volume of bilateral trade between the two countries touched new heights, Voice of America reported in February. Pakistan was then placed on the Financial Action Task Force's (FATF) grey list on Washington's suggestion in late February. Even though China and Saudi Arabia were expected to vote in favour of Pakistan, they chose to not oppose the motion, leaving only Turkey in Pakistan's corner. The 37-nation FATF held its plenary meeting in Paris where it placed Pakistan on a so-called 'grey list' of the countries where terrorist outfits are still allowed to raise funds. Pakistan had expressed serious concern when the motion was first submitted to FATF for placing it on the watchlist. It was said that ongoing anti-terrorist operations by the Pakistan Army were proof of the country’s commitment towards combating this menace. In March, the United States assured Pakistan that it does not want to sever bilateral ties with an "important ally" while Islamabad extended its “wholehearted support” to a US-backed Afghan offer of peace talks with the Taliban. The two statements supplement renewed efforts to improve relations between the US and Pakistan. The US also acknowledged that both Pakistan and the Taliban have legitimate grievances and it was said that those concerns will be addressed. In June, then Principal Deputy Assistant Secretary of State Alice G. Wells visited Pakistan to explore the possibility of a permanent peace in Afghanistan. US Secretary of State Mike Pompeo also offered to discuss with the Taliban their demand for the withdrawal of US and international forces from Afghanistan, adding that Washington would “support, facilitate and participate in these discussions”. Soon after the general elections, a brief controversy ensued when the US issued a readout on a phone call between PM Khan and US secretary of State Mike Pompeo. The statement issued by the US State Department read: "Secretary Pompeo raised the importance of Pakistan taking decisive action against all terrorists operating in Pakistan and its vital role in promoting the Afghan peace process." The Foreign Office took exception to the statement, calling it "a factually incorrect statement issued by the US State Department" regarding the discussion during the phone call, saying there was "no mention at all in the conversation about terrorists operating in Pakistan". Following the FO's statement, US State Department Spokesperson Heather Nauert said: "We stand by our readout." Foreign Minister Shah Mehmood Qureshi said: "The impression that has been given in their press release, which mentions terrorists operating in Pakistan, is in contrast with reality. And I say this with full confidence." Pompeo came to Pakistan in September for a brief visit before he left for India, where the US delegation held a more elaborate round of talks. “In Pakistan, we agreed that it’s time to start delivering on our joint commitments,” he told the journalists travelling with him. “There was broad agreement between myself, Foreign Minister [Shah Mehmood] Qureshi, and Prime Minister [Imran] Khan that we need to take steps that will deliver outcomes on the ground, allowing us to begin to build confidence and trust between our two countries,” he added. 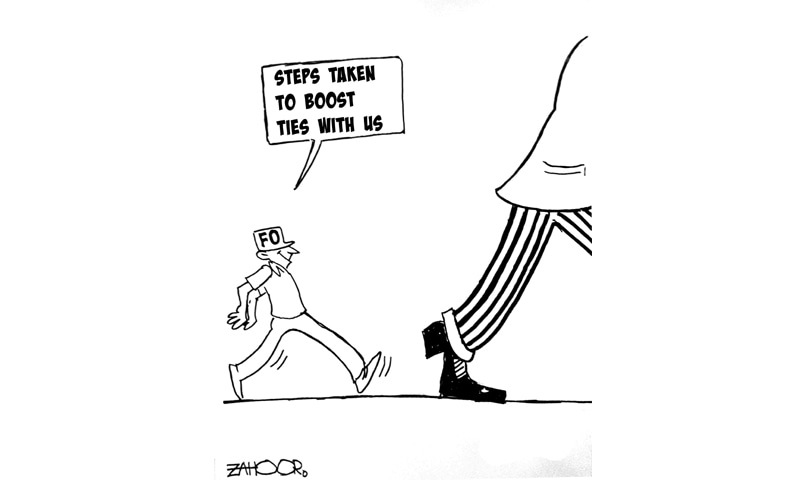 Read: What do press releases tell us about the state of Pakistan-US relationship? In October, FM Qureshi visited the US and met with Pompeo, where once again the resolve to solve the issues of the South Asian region was reiterated. The two sides also held discussions on bilateral relations. 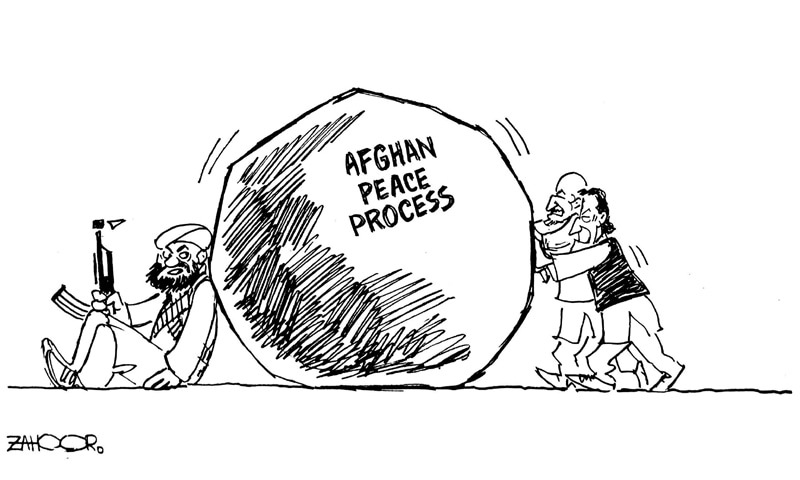 The talks remained dominated by the Afghan conflict. Upon his return, FM Qureshi said that no progress could be made in resolving the situation in Afghanistan without Pakistan's involvement. In October, the US tried to intervene in Pakistan's request for an International Monetary Fund (IMF) loan, stating that it would review Pakistan's debt with China before taking a "decision on Pakistan's request". However, Finance Minister Asad Umar assured Pakistan that the US does not hold the power to veto an IMF loan. Finally, acting upon a suggestion Pakistan had made a number of times, Zalmay Khalilzad, a top American diplomat appointed recently to find a way to end the Afghan war, led a US team at talks with six Taliban representatives in Doha. “The purpose of this entire trip is to talk about the peace and reconciliation progress,” US State Department’s spokesperson Heather Nauert told a news briefing at the time. A few days after that, US Ambassador Paul Jones met Army Chief General Qamar Javed Bajwa to discuss matters of mutual interest, including regional security. In November, what started with United States President Donald Trump’s tirade against Pakistan culminated into a heated exchange between him and Prime Minister Imran Khan on Twitter with the latter asserting that “Now, we [Pakistan] will do what is best for our people and our interests." PM Khan’s rebuttal came after Trump tweeted about Pakistan’s alleged inaction against “Osama bin Laden and Afghanistan”. Chief of Army Staff Gen Qamar Javed Bajwa also highlighted Pakistan's efforts in the war against terrorism and for regional peace, saying the country "has done much more for peace in Afghanistan than any other country". After the latest war of words, US State Department spokesperson Nauert assured Islamabad that the United States “stands with the Pakistani people in the face of these terrorist acts, and will continue to seek opportunities to cooperate with the Pakistani government to combat these threats in the region”. A hasty exit from Afghanistan? Not days after their Twitter spat, Prime Minister Khan received a letter from US President Donald Trump seeking Islamabad's "assistance and facilitation in achieving a negotiated settlement of the Afghan war". Pakistan's foreign ministry "welcomed" the US decision for negotiations, noting that "Pakistan has always advocated a political settlement to end war in Afghanistan". "Pakistan reiterates its commitment to play a facilitation role in good faith," the statement read. "Peace and stability in Afghanistan remains a shared responsibility," the ministry said. In a December interview to The Washington Post, Prime Minister Khan expressed his desire to have "a proper relationship with the US" akin to Islamabad's ties with China rather than the one "where Pakistan is treated like a hired gun". Days after President Trump's letter to PM Khan, the US announced that it had added Pakistan to its blacklist of countries that violate religious freedom, ramping up pressure over the treatment of minorities in the country. Announcing the decision, Pompeo said that Pakistan was joining Saudi Arabia, Iran, China, North Korea, Burma, Eritrea, Sudan and Tajikistan on a list of countries that have "engaged in or tolerated systematic, ongoing, and egregious violations of religious freedom". Pakistan rejected the measure, calling it a "unilateral and politically motivated pronouncement", and suggested the US introspect over the "exponential rise" of Islamophobia and anti-Semitism in America. Towards the end of the year, Pakistan facilitated the first official round of talks between Taliban officials and the US government in UAE. Though there were no statements from the participating parties at the end of the daylong meeting, Pakistan’s Foreign Office spokesman Dr Mohammad Faisal officially announced the start of the talks through a tweet. Then, in a shock development, media organisation AFP revealed that Trump had decided to withdraw as many as 50 per cent of American troops deployed in Afghanistan. The decision apparently came after American envoy Khalilzad met with the Taliban in Abu Dhabi in mid December, part of a flurry of diplomatic efforts to bring the Taliban to the negotiating table with the Afghan government. They are believed to have discussed issues including the group's longstanding demand for a pullout of foreign troops and a ceasefire. “That decision has been made. There will be a significant withdrawal,” an American official told AFP about the decision on condition of anonymity. The US has about 14,000 troops in Afghanistan working either with a Nato mission to support Afghan forces or in separate counter-terrorism operations. Foreign Minister Shah Mahmood Qureshi welcomed the development. Talking to media persons soon after the story broke, the foreign minister said the decision would "further help" the peace talks between the Afghan Taliban and the US. 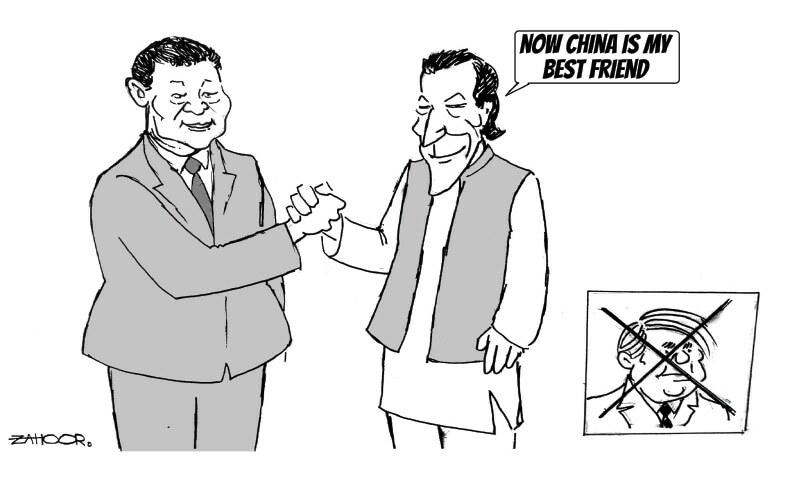 The time-tested friendship between Pakistan and China maintained an even keel throughout the year, barring a few interruptions as the new government in Islamabad took power. Earlier, China was the first country to defend Pakistan when US President Donald Trump accused Islamabad of not doing enough in the war against terrorism. Beijing also set minds at ease by rejecting speculations that it was planning to establish a military base in Balochistan's Gwadar region. A Pentagon report had singled out Pakistan as a possible location for a future Chinese military base. Pakistan also formally asked China to encourage its products — mainly eatables — into its market to contain tilted expansion in bilateral trade. China later came out in support of Pakistan's anti-terror financing regime days after it withdrew opposition against a US-led move to place Pakistan on the FATF grey list. "In recent years, Pakistan has made important progress in actively strengthening financial regulations to combat terror financing," China's Foreign Ministry Spokesperson Lu Kang was reported to have said. In April, Pakistan and China resolved to enhance bilateral cooperation with a pledge to play a key role for regional stability through the Shanghai Cooperation Organisation (SCO). The first land-based communication link between Pakistan and China, the Pak-China Optical Fibre Cable project, was also inaugurated in July. The project, completed in two years, will help develop the telecom sector in the Gilgit-Baltistan region and contribute to the enhancement of the security of the schemes falling under the umbrella of the China-Pakistan Economic Corridor (CPEC). After the Pakistani general election, Chinese Premier Li Keqiang called PM Khan to congratulate the latter on his win. The Chinese premier expressed hope that the "all-weather" friendship between the two countries would strengthen under the new government. However, some tensions persisted over how the new government in Islamabad would confront CPEC, which the PTI had long criticised for its opacity. 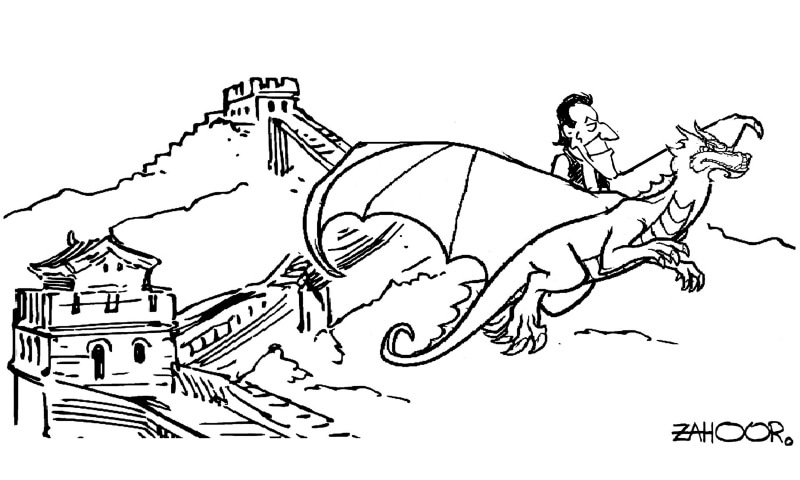 Also read: Will CPEC’s progress expose Prime Minister Khan’s populism as rhetoric? When Chinese Foreign Minister Wang Yi visited Pakistan in September, however, he was assured that the new government gives "top priority" to the multi-billion-dollar programme. The Chinese FM's visit was meant to engage with the new government, re-emphasise the importance of bilateral ties and learn more about its position. The same month, China agreed to add social sector and regional development schemes to the existing portfolio of CPEC projects. The understanding on addition of “two major dimensions” to the CPEC projects came about at a long meeting between the Planning, Development and Reforms Commission of Pakistan and the National Development and Reforms Commission (NDRC) of China. In November, PM Khan met with Chinese President Xi Jinping in Beijing and told him about Pakistan's "very difficult" economic situation. "Pakistan wants to learn from China's experience in poverty alleviation and curbing corruption," he had said at the time. During the project, the two countries also arrived at a better understanding of where things stand, with the new Pakistani government also shedding some of its suspicions towards CPEC. 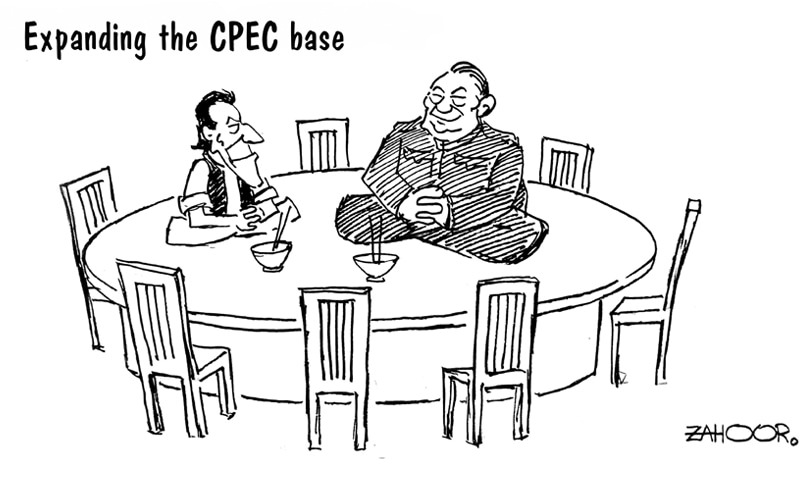 After much confusion ensued as a result of Information Minister Fawad Chaudhry's remarks that Saudi Arabia will be made part of CPEC — with him insisting that China has been taken into confidence about the move — it was clarified later that Saudi Arabia would not be made part of the $50 billion framework and the kingdom’s proposed investments would fall under a separate bilateral arrangement. “Saudi Arabia is not to become a collateral strategic partner in the CPEC. This impression is not true,” he had to clarify. In October, China endorsed Pakis­tan’s request to the International Monetary Fund (IMF) for financial assistance for addressing its balance of payments crisis, but cautioned that the facility should not affect economic cooperation between Islamabad and Beijing. “As a member of the IMF, China supports the organisation in making an objective evaluation of Pakistan based on professionalism and earnestly helping it properly address the current difficulty,” Chinese foreign ministry spokes­person Lu Kang said. The same month, Chinese Amba­ssador Yao Jing rejecting the perception that CPEC is adding to Pakistan’s economic problems told the army chief that his country would look positively at critical questions being raised about the project. In November, China said that it is willing to offer assistance to Pakistan to help it weather its current fiscal woes, but that the terms of such aid are still being discussed. Vice Foreign Minister Kong Xuanyou said the two sides had “made it clear in principle that the Chinese government will provide necessary support and assistance to Pakistan in tiding over the current economic difficulties. “As for the specific measures to be taken, the competent authorities of the two sides will have detailed discussions,” Kong had added. This stance concurred with the joint statement issued by Pakistan and China at the end of PM Khan's November visit to Beijing. The statement did not speak of any immediate assistance to Pakistan; rather, the focus remained on the expansion of ties between the two countries. However, Finance Minister Asad Umar maintained that China has provided Pakistan a package, but did not disclose the volume of it. In an effort to promote people to people contact, a Pak-China luxury bus service was also kick-started this year from Lahore to the city of Kashgar in China's Xinjiang province. The journey will take a total of 36 hours, and the bus will make five stops along the way before it crosses into China at the Khunjerab Pass. As the year came to a close, China was said to have agreed to increase its imports from Pakistan to $2.2 billion by end of 2018-19 from the existing level of $1.2bn and to $3.2bn by end of next fiscal year. Adviser to Prime Minister on Commerce, Industry and Investment Abdul Razak Dawood announced this development in November. However, soon after that, it was learnt that the government’s expectation to get market access worth $1 billion in exports to China during the current fiscal year seemed to have hit an impasse. A terror attack targeting the Chinese consulate situated in Karachi's Clifton area was foiled by security forces in November. The attack left at least seven people dead; however all foreign staff remained safe during the incident. All three terrorists involved in the attack — who reportedly belonged to a Baloch separatist outfit — were killed in the operation by security forces. Deputy Chief of Mission of the Chinese Embassy in Pakistan Lijian Zhao announced that Chinese citizens had decided to donate one month's salary to the families of the policemen who were martyred in the attack as a token of their gratitude. Early in December, it was also announced by Chinese Consul General Long Dingbin that Beijing is investing in multiple sectors and launching business ventures instead of providing loans in order to "boost Pakistan's economy". Dingbin revealed that during Prime Minister Imran Khan's recent trip to China, the two countries had signed 15 new agreements which will lead to increased cooperation in politics and the financial sector and will also improve cultural ties. 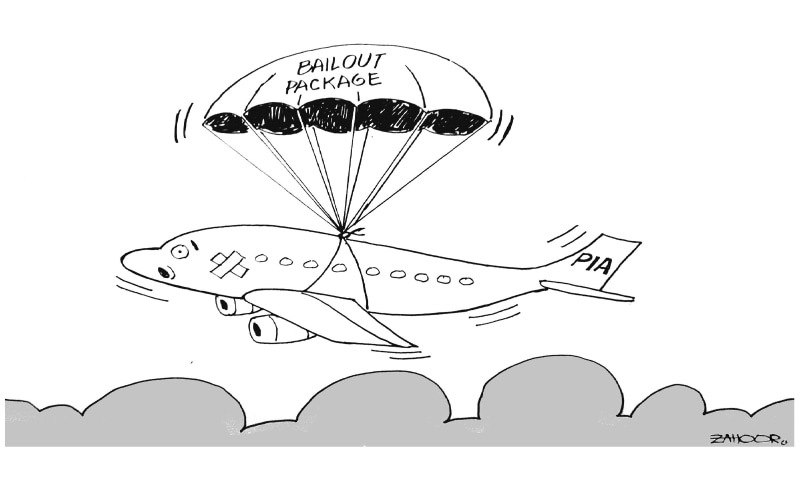 "Instead of hard cash, China plans to eventually provide multiple forms of bailout packages [to Pakistan] in the shape of phenomenal investments in fresh projects," he said, adding that the investments will help Pakistan "overcome its financial crunch". This year brought with itself a difference in the way Pakistan and India conduct themselves with each other. The year kicked off with the news of Pakistani and Indian National Security Advisers holding a secret meeting in Bangkok in December. The meeting, which was kept under wraps when it happened in December 2017, was widely seen as a means to keep the channels of communication between the two countries open. Soon after, however, India once again seemed to stiffen up when Indian Foreign Minister Sushma Swaraj broke many hearts by saying that a much-awaited cricket series between Pakistan and India remains unlikely, citing the frequent exchange of firing at the Line of Control (LoC) as the reason. These allegations were often repeated by both countries for each other over the course of the year. The then foreign minister Khawaja Asif said that India had committed 170 LoC ceasefire violations in the first month of the year alone, while the Indian army chief accused Pakistan of using a "nuclear bluff" to keep the LoC 'hot'. "If we will have to really confront the Pakistanis, and a task is given to us, we are not going to say we cannot cross the border because they have nuclear weapons. We will have to call their nuclear bluff," Indian Army Chief Gen Bipin Rawat had said. Occupied Kashmir's then prime minister Mehbooba Mufti on the other hand, seemed to understand the importance of dialogue between the two countries. "Dialogue with Pakistan is necessary if we are to end the bloodshed. 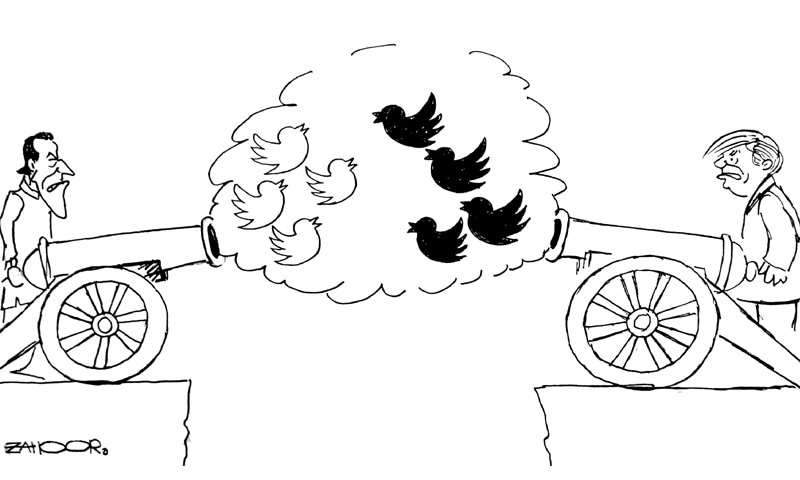 We have to talk because war is not an option," she tweeted. Despite tense ties with New Delhi due to higher than usual ceasefire violations on the LoC and Working Boundary, Pakistan gave its consent for a three-year extension to an agreement with India on the Munabao-Khokhrapar rail link. In another positive development, Pakistan and India agreed on a proposal to release female prisoners, prisoners over the age of 70 and mentally challenged inmates held in each other's jails on humanitarian grounds. In spite of these positive developments, then foreign minister Asif once again said that Islamabad does not "expect" any improvement in relations with New Delhi as long as the Indian army continues to violate the ceasefire agreement along the LoC and the Working Boundary. On the other hand, Pakistan expressed its willingness to receive the United Nations’ Commission of Inquiry (COI) on Azad Jammu and Kashmir (AJK), but again conditioned it with New Delhi also agreeing to the commission’s visit to occupied Kashmir. After the elections, Indian Prime Minister Narendra Modi telephoned Imran Khan, congratulating him over his party's victory in the general elections and conveying best wishes for Pakistan. This was widely appreciated as a positive step between the two nations and soon after that Modi distanced himself from a militarist line on Jammu and Kashmir, saying he would seek peace in the disputed region by embracing its people. Prime Minister Khan then invited India to dialogue and pursue peace, terming it the "best way to alleviate poverty and uplift the people of the subcontinent". Things seemed to be moving in a positive direction when Pakistan's offer to hold talks on the sidelines of the United Nations General Assembly (UNGA) in New York was first accepted; however, it was quickly rejected by the Indian government without sufficient explanation. The move did not reflect well on the Indian government on the international stage and Pakistan expressed its "deep disappointment" at the way the events had played out. In September, Indian and Pakistani troops for the first time participated in a joint exercise in Russia under the aegis of the Shanghai Cooperation Organisation (SCO). 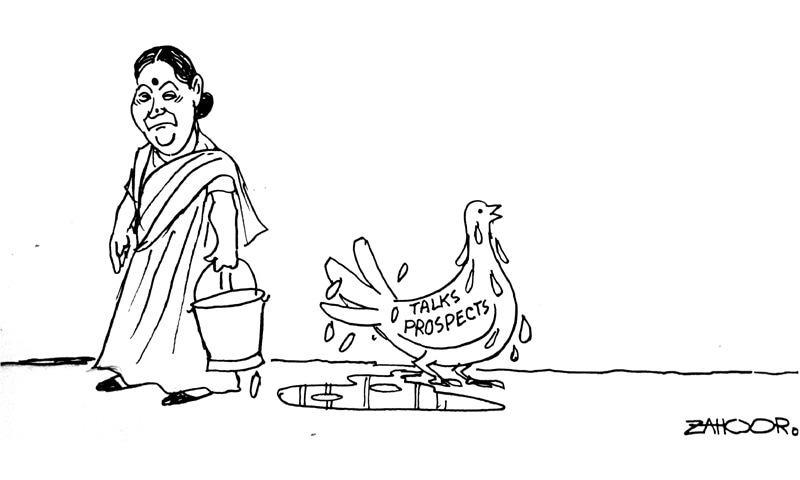 Soon after that, India's Defence Minister Nirmala Sitharaman said that India will take any "comment on wanting peace" by Pakistani officials "seriously". The same month, India agreed to allow Pakistan to inspect the projects in the Jhelum basin, including Kishanganga hydroelectric project, in the near future. In return Islamabad agreed to allow New Delhi to carry out inspection of the Kotri barrage over the Indus under Article VIII (4) (c) of the Indus Waters Treaty (IWT). 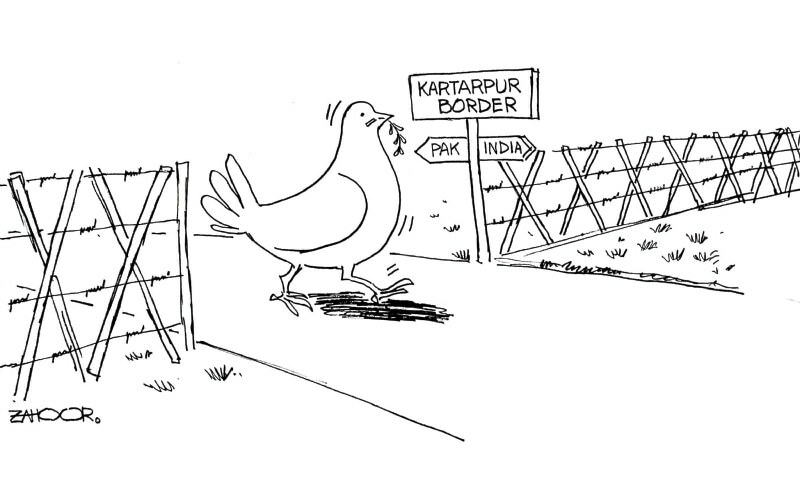 Not giving up on the idea of peace, Pakistan said that steps should be taken to open of the Kartarpur border — a proposition made by the army chief to Indian Punjab Minister of Local Government, Tourism, Cultural Affairs, and Museums Navjot Singh Sidhu when he visited Pakistan for PM Khan's oath taking ceremony — for Sikh pilgrims, and after much deliberation and back and forth, the two countries agreed on taking this step in November this year. For optics' sake, India jumped the gun and held an inauguration ceremony for the border opening one day before Pakistan had scheduled its own. 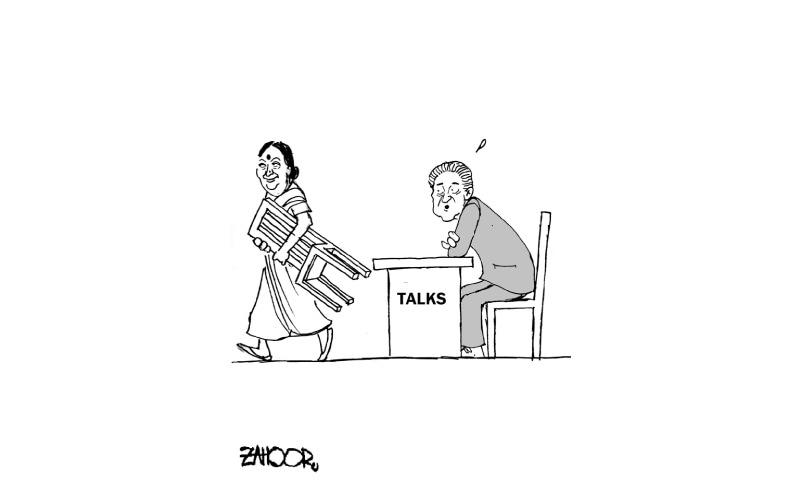 FM Swaraj also declined Pakistan's invitation to attend the ceremony, citing prior commitments. The Pakistan ceremony was attended by Indian Minister for Food Harsimrat Kaur Badal and Minister for Housing Hardeep S. Puri, along with Navjot Singh Sidhu. Various Sikh Yatris and Indian journalists were also present on the occasion. The Foreign Office also announced at the end of November that Indian Prime Minister Modi will be invited to Pakistan for the South Asian Association for Regional Cooperation (Saarc) summit to be held next year. The year 2018 saw the further bolstering of military and economic ties between Pakistan and traditional ally Saudi Arabia. The year began with a quiet trip to the kingdom by Army Chief Gen Qamar Javed Bajwa. It was followed by the army's announcement that it was deploying troops in Saudi Arabia under an existing bilateral security pact. The size of the deployment was later stated to be around 1,000 troops, and as the opposition raised questions over the decision, then foreign minister Khawaja Asif revealed that Pakistani troops had been stationed in the Kingdom only for 'internal security' reasons, and not to take part in the Yemen war. As the new government took office in July, Prime Minister Imran Khan offered to play a constructive role between Iran and Saudi Arabia. He later revealed that Pakistan was trying to play the role of a mediator in the Yemen war involving the Kingdom. Under Khan's watch, Islamabad also sided with Riyadh in a diplomatic spat with Canada. The zenith in the two countries' rejuvenating ties came, however, when Prime Minister Khan paid two official trips to the Kingdom. After the first trip in September, the government announced that Saudi Arabia had been formally invited to become the third strategic partner in the CPEC. However, the government backtracked on the announcement days later, saying the investment would be considered as separate from CPEC. In October, at a time when various countries pulled out of an investment conference in Riyadh following the murder of journalist Jamal Khashoggi, Imran Khan attended the event, inviting foreign investors to invest into projects in Pakistan. During this second visit by the prime minister to the Kingdom, Riyadh stepped forward with a $6 billion bailout package for Pakistan’s ailing economy, giving it a much-needed lifeline to avert a balance-of-payments crisis. Earlier this month, Finance Minister Asad Umar said an incoming investment package from Saudi Arabia, which promises to be "the biggest foreign investment in Pakistan's history", will be announced soon. It was later revealed that the all-powerful Saudi Crown Prince, Muhammad bin Salman, will visit Pakistan in February 2019. The stance is understandable given how sharply ties had been deteriorating with the UAE. The first visit took place in September when Khan visited Saudi Arabia and then the UAE. He was received by Crown Prince of Abu Dhabi Sheikh Mohammed bin Zayed bin Sultan Al Nahyan and the two countries agreed to strengthen economic, trade and investment relations, according to the official communique released soon after the visit. The next month, a UAE delegation — comprising CEOs and senior officials of major companies including Mubadala Petroleum, ADIA (Sovereign Wealth Funds), Etisalat, DP World, Dubai Investment Authority, Emaar Properties, Aldahra Agriculture and Abu Dhabi Fund for Development — arrived in Pakistan. In November, the premier embarked on his second trip to the UAE amid reports that the gulf state was ready to extend financial assistance to Pakistan. Khan was again received by the Abu Dhabi crown prince in the UAE capital and was accorded a reception at the presidential palace, which was followed by delegation-level talks. During his day-long trip, the prime minister had also met Sheikh Muhammad bin Rashid Al Maktoum, the vice president and prime minister of the UAE and ruler of Dubai. As the year came to a close, it was also announced that UAE's Crown Prince Mohammad bin Zayed bin Sultan al Nahyan will visit Pakistan in early 2019. The United Arab Emirates also announced its intention to deposit $3 billion (equivalent to AED11 billion) in the State Bank of Pakistan "to support the financial and monetary policy of the country". Country lacking past and without vision, with a single-point agenda to fight. Overall very lackluster performance on foreign affairs. thanks Dawn.com for such a helpful compilation. 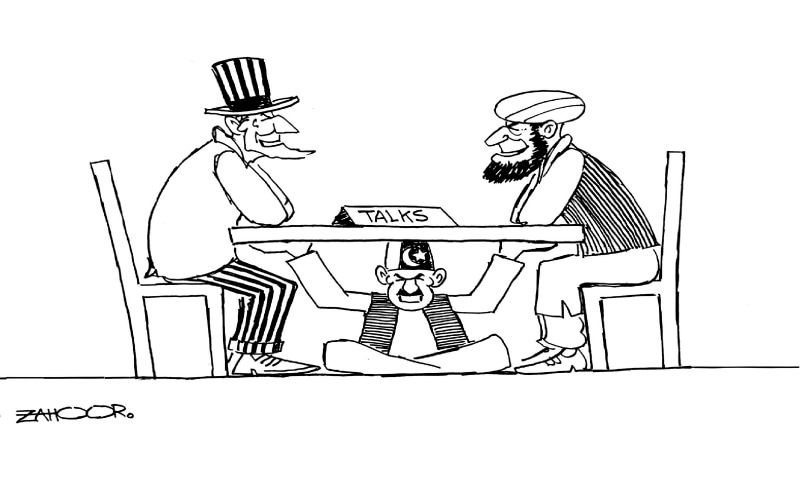 Pakistan is isolated as before with very little economic options. China calls all the shots! @Dev. Is that really what's happening??? All the crises Pakistan facing at the moment owning to short term polices, hope the naya Pakistan would not repeat the same mistake. Great article. Pakistan is gifted country. USA owes monies and China as well. We didn’t speak of Uighur. Our Islam brothers will help with job and investment. Why are Iran and Afghanistan missing? Aren’t they critical parts of Pakistan’s foreign policy? Pakistan foreign affairs seems to be moving in a positive and progressive direction under the struggle of shah M.Qureshi. For once I thought IK was a man of vision and he really wants to turn a new page when he opened the Kartarpur corridor but his Foreign Minister spilled the beans by calling it a googly. This was followed by some tweets from him making unwarranted references to minorities in India trying to embarrass India and Hindus. That will be end of any goodwill or positive turn for improvement in relations with India. Once USA leaves Afghanistan , Pakistan would cease to be of any use to it. I think reading the comments will take more time than reading the article. Sums it up well. Pakistan has several countries which will support pakistsnthrough thick and thin. There many more but did not respect the previous two corrupt leaders. Now they too are coming forward in support and stronger links. Pakistan will again became a historic model for the world.we will teach the world how to govern, as did by our fathers salahuddin aubi,ghori,ghaznavi and great Quaid. Pak China are iron and trusted brothers. China will design new world order. Some time you should listen to Mr. Hasan Nusar. Some of your misgivings will be dispelled. @Ashish Kumar you are so right about India. @Ashish Kumar we have clear vision, moreover, having skills to tackle any situation.